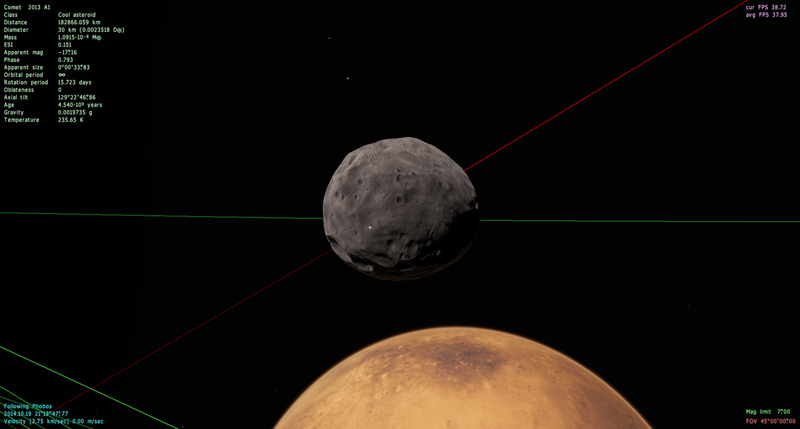 When I try to open spaceengine.exe a box opens saying: The program can't start because OpenAL32.dll is missing from your computer. Try reinstalling the program to fix this problem. What's the solution for this problem? vivabush2007, you need to install 0.9.7.2, then install 0.9.7.3 on top of it. 0.9.7.3 is a patch and cannot be installed by itself. I noticed just a moment ago while going through the places already saved that many are no longer there. Did my files not update properly when i did the update? All i did was extract the files to the main folder and replace what was preexisting. You probably overwrote your existing places file. I got the newest graphics driver, but I often (average after 1 h in SE) get some strange anomalies. Planes somewhere in space (see the picture) with fancy, bright colours. They are sometimes changing their shape, brightness and colour. Usually the game will crash in the next 10 minutes then. I even had some even stranger occurance, when I quickly approached the center of an extraordinarily bright E0 galaxy, all of a sudden the screen became extremely bright, much brighter than the center of the galaxy, eventhough I was still far away from it (18 kLy). The second attached screenshot depicts it. I first thought I might've hit a star, but when trying to approch the brightness, it turned out it were thousands of bright stars in intense neon colours I haven't seen in SE before. They looked really good: Purple, green, ..., but far too bright. Disco. But when I tried to approach them, SE crashed. This was some days ago already, so I don't know, if the logfile still contains the data. the_other_roots, check your graphics card temperatures, it might be overheating. saturn849, delete your cache folder and dont press at the loading window just let it load. saturn849, try changing the install location, you might have installed it into a place with restricted permissions. Or try running as administrator, and/or compatibility mode. I've read that the EnumSystemLocaleEx/KERNELL32.dll problem is related to an incompatibility with XP. The fact is, this issue, which should be linked to the version 0.9.7.2, in my case is not solved by the installation of the 0.9.7.3. I have installed the .2 version first, then I've copied all the contents of the .3 archive in the original folder, overwriting the pre-existing files. But, when I click on the exe file, the error mentioned above appears on screen. It works on XP for me, so I don't know what your problem might be. 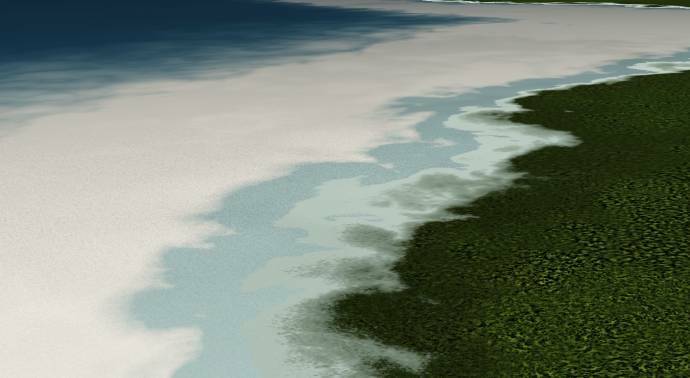 I just noticed that the Engine renders Beaches and Shelves, inversely. While texture exports seem normal, the in-game rendering of them is inverse of what they should be. Is this a bug? Or a known limitation? Whenever I get near terras, the frame rate drops drastically. It's only terras that do it. I have tried turning off water, atmosphere, etc, and nothing changes. Try to delete atioglxx.dll from SE's system folder if you have it there.